Whether your job title includes Talent, L&D or HR, Talent Management terms and definitions are forever shifting. And there are new words entering the market all the time. Take, for example, Continuous Performance Management. Unheard of until only a few years ago and yet now conferences and blog posts are awash with the term. Similarly, ‘career pathing’ or ‘talent categories’. There are many examples of this in the world of succession planning. In you’re in this field, these will be part of everyday vocabulary. If you’re more of a generalist, what’s your understanding of a Talent Review, or Talent Category? And what about the 9-box grid? 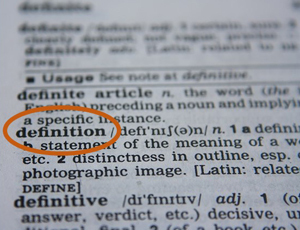 To act as a ‘go to’ resource when you’re faced with talent management jargon, we’ve created a web page packed full of jargon-busting definitions. It’ll change over time, so be sure to check back. And if you find there are HR terms we haven’t yet included, then let us know. Don’t forget, we also have a wide range of tips, tools, article, white papers, eBooks and video you can access across the website. Visit the Resources section and have a look through. And, when you’re ready to explore how we might be able to support you, then get in touch or book a demo of our software. We’re here to help!